Most of our competitors have basically re-created the “Yellow Pages” approach. Your restaurant ends up in a directory by category, side-by-side with your competitors. Our service ONLY promotes your restaurant and your brand. Your customers will always and only by way of your website place online orders. We have proven that this approach strengthens your business and brand. We do everything thing we can to present your Online Order Service as “yours”. A service brought to your customers by YOU! You won’t find advertising or gimmicks that promote our service on your Online Order Site. Your business will be prominently displayed not ours. Running a restaurant is consuming enough without adding a bunch of new tech stuff to worry about. 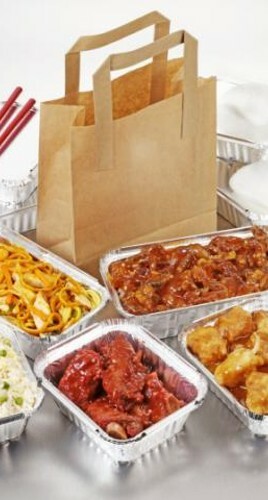 Our member restaurants receive orders and keep quite busy filling them, we do the rest. Menu maintenance, price changes, new food pictures, delivery fees and areas are all kept current by us. This is not a "Dorm Room Fantasy"
We didn’t dream this up yesterday. If we didn’t invent the Online Ordering business, we certainly would be considered founders. Our emphasis is on your business rather than the latest tech fads. Instead of wild promises of new business through Internet discounts and G–pons, we work steadily with you to build business at your regular prices. Small and independently owned restaurants are our only customers. Although some of our clients operate as many as 20 locations, we keep our focus on providing our services to smaller and more locally owned restaurants. We don’t charge your customers order charges. We do not take percentage cuts form Merchant Payment processors. We do not aggregate and later re-pay credit card purchases. Credit card payments are placed directly into your account as made. We charge a very simple monthly subscription that we will happily share with you upon request. Hint – it is fair, affordable and attractive. Many Online Ordering services are limited to credit card purchases only. Some do not even permit special instructions or before hours ordering. We provide you with cash customers and or credit card customers. Because of our order time flexibility, many of our restaurants find hundreds of dollars in sales before they put their key in the door.